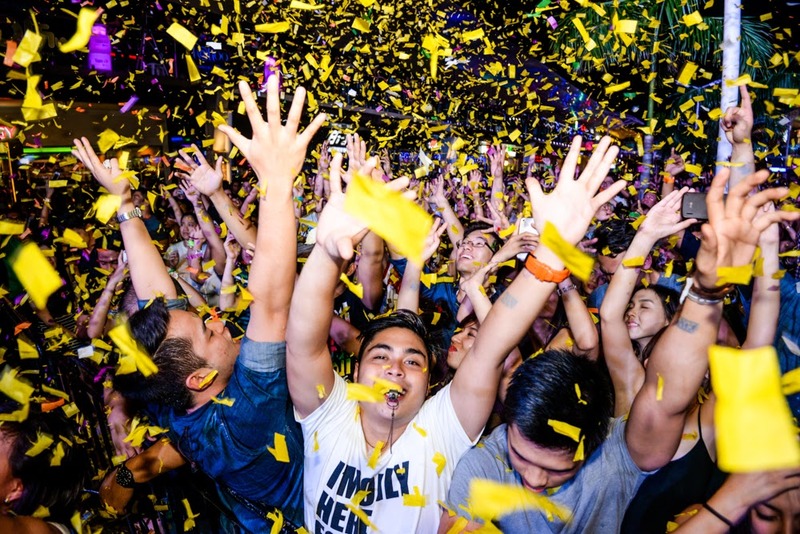 MANILA, 29 JAN 2015 – AirAsia Philippines, the Filipino Low Cost Carrier that flies hand in hand with AirAsia, voted the World’s Best Low Cost Carrier for six consecutive years, today announced it will start flights between Manila and Davao on 27th March 2015. 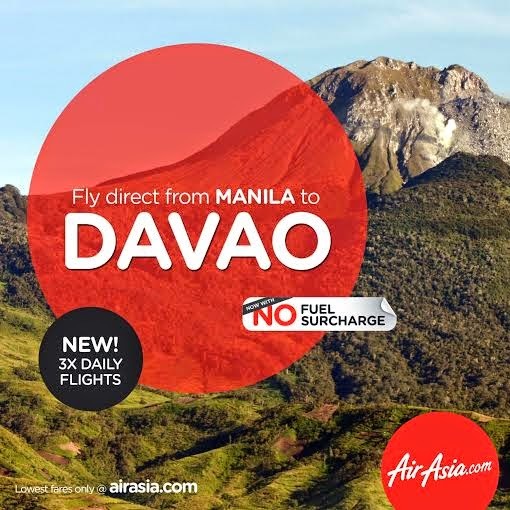 To celebrate the re-introduction of the Manila-Davao route, AirAsia Philippines is offering promotional seats with all-in-fares from as low as P799, one-way. Promo seats are available for booking starting today until 1st February 2015 at www.airasia.com with travel period from 27th March 2015 to 26th March 2016. 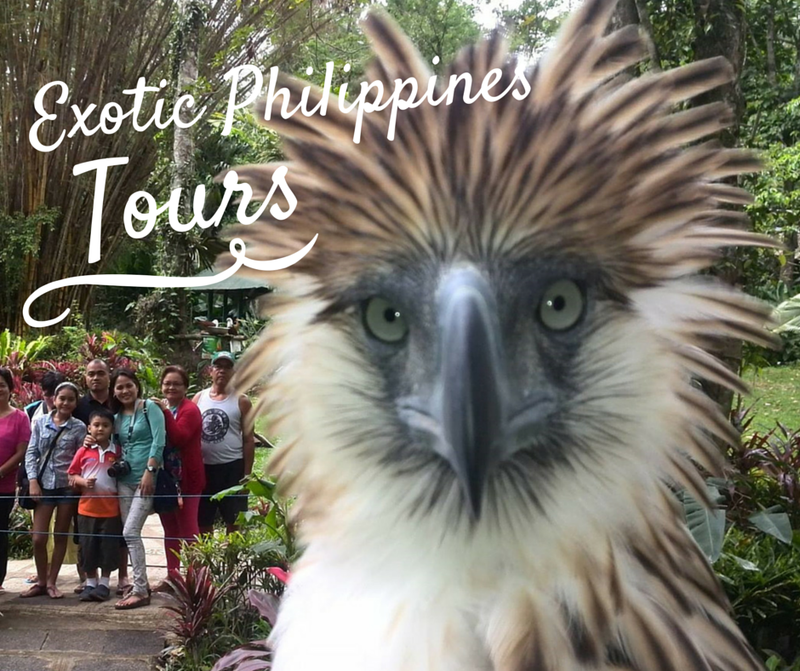 Access to Davao-Cebu is also available on AirAsia’s twice daily flights from Davao International Airport to Mactan Cebu International Airport. Globe Telecom took the Sinulog Festival fever a notch higher as it officially launched its revolutionary postpaid plan offer, the new Globe myLifestyle Plan, first in Cebu, recognizing the digital lifestyle of its Cebuano customers who have fully embraced data and content usage on their mobile phones. 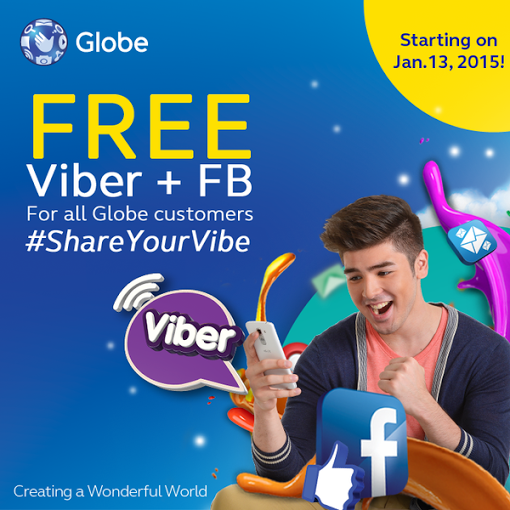 Starting January 16, 2015, new myLifestyle Plan customers will get access to an easier and simplified plan offer starting at P499 a month which comes with built-in unlimited calls and texts to Globe & TM plus freebies such as the Navigation Bundle which gives customers all day, all month access to apps such as Waze, Grab Taxi, Google Maps, MMDA, and Accuweather, 1 GB Globe Cloud for easy and hassle-free storage of files and photos, and Gadget Care to allow customers to protect their devices against theft and accidental damage. Moreover, they can also get extra calls and texts to other networks, as well as landline and international services with the Classic Packs. All promo packs chosen will then be added to the P499 base plan, which will be equivalent to the customer’s monthly service fee (MSF). Customers then get to choose from a wide range of free devices and gadgets, depending on their MSF. The more services they add on top of the base plan, the better the handset they can get. GT Cosmetics, a Cebu-based beauty products manufacturer, is partnering for the second year in a row with the Miss Cebu 2015 beauty pageant that will be staged as one of the highlights of the Sinulog Festival this January. “As a company that had its roots in Cebu Philippines, GT Cosmetics is happy to support Miss Cebu 2015 in promoting talented and intelligent local beauties,” said Engr. Leonora Salvane, GT Cosmetics founder and chief executive. GT Cosmetics is handing over a P100,000 check to the Miss Cebu 2015 organizers as Gold Sponsor of the prestigious beauty pageant which is presently in its 31st year of crowning Cebuana beauties. “We see our support to Miss Cebu 2015 as one way of giving back to the community that has made us what we are today,” said Salvane who explained that her firm has previously sponsored beauty pageants in campuses and barangays. GT Cosmetics has come a long way since its modest beginnings in 1994 when Salvane started producing papaya and carrot soaps in her home kitchen with little more than P500 as capital. The firm now offers a full line of skin care products from beauty soaps to moisturizing and bleaching creams, sun blocks, lotions, fragrances, among many others. Initially gaining popularity through the simple word-of-mouth of its satisfied soap users, GT products are now sold in over 400 retail outlets and leading drugstores nationwide. This includes Watsons Personal Care stores, Robinsons supermarkets, SM malls, Savemore supermarkets, Gaisano Metro, among other leading stores across the country. The beauty company’s products are also available in other countries like Canada, China, Finland, Japan, Korea, and the United States. 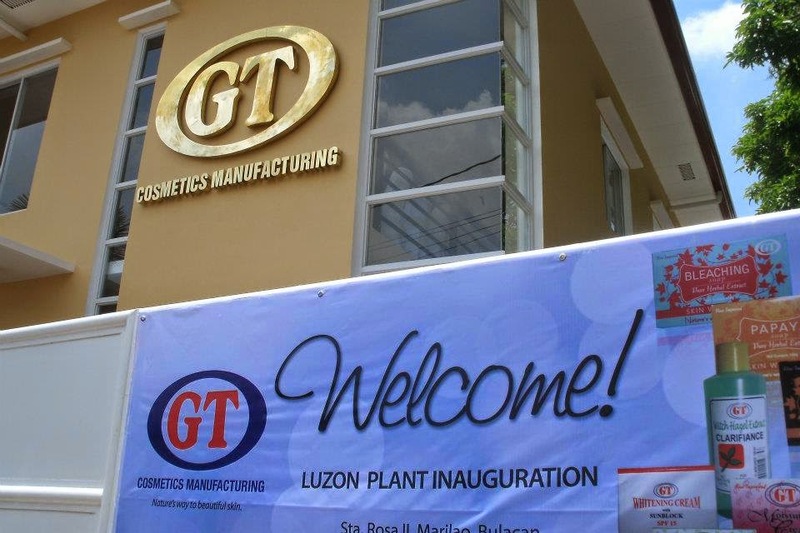 GT Cosmetics has manufacturing plants in Lilo-an, Cebu and, from 2012 onwards, in Marilao, Bulacan, while its third factory is currently under construction in Tayud, Consolacion, Cebu.